On Wednesday, 5 December 2018 the Association of the United States Army, Texas Capital Area Chapter hosted its general membership meeting at Camp Mabry, Austin, Texas. It provided an opportunity for our chapter to present a contribution to the Texas Military Forces Family Support Program. The purpose of this contribution was to aid military families in need during the Holiday Season. Our chapter presented a contribution of $5,000.00 to assist this worthy program of support to military families. 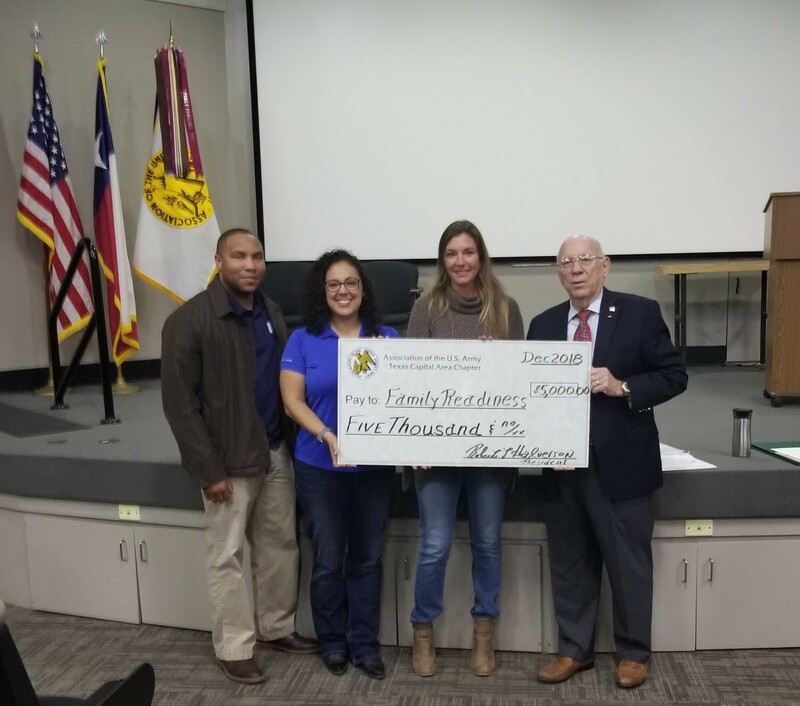 Chapter President, MG (Ret) Halverson presents ceremonial check to the Texas Military Forces Family Support Program representatives.